community in an open environment. View our full line-up of year-round programs. 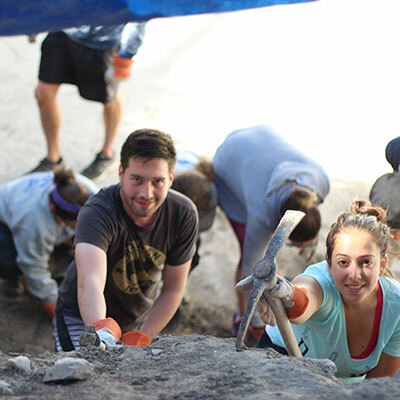 Livnot offers an integrated Israel experience of volunteering, hiking, and community building that allows participants to explore themselves and connections to their Jewish roots and heritage. Over 1,500 Livnot alumni have gone on to become active professionals throughout North American Jewish communities including Federations, Hillels, JCCs, ADL, Birthright NEXT, BBYO, synagogues, Jewish camps and day schools. ​Livnot U’Lehibanot, as a non-profit educational institution, relies on friends and foundations to forward our mission. Your partnership and support will help us provide meaningful Israel experiences to young Jewish adults who have had little or no Jewish education and will provide our volunteers with the tools they need to make a difference in communities in Israel. Livnot U'Lehibanot is supported in part by various private foundations, private donors and our alumni. Yaniv is a native Israeli who moved to Tzfat 10 years ago. He has his BA in Economics and Business Administration, and completed an LLB in Law. Yaniv has years of great experience in management and marketing. Here at Livnot, he handles all of the amazing activities that go on in the Livnot campus, both for Israeli groups and for Tourists. Rachael participateed in the week long Northern Exposure program in 2015, and has been involved with Livnot ever since. After finishing her degree in English and Film studies at the University of Dundee in her home country of Scotland, she made Aliyah and came straight to Livnot to be a madricha. When the summer session ended she decided she couldn’t leave yet so joined the Livnot team to work on Recruitment and Social Media. Pairing her ample digital marketing experience from Scotland, intimate knowledge of the Livnot ethos and her love of art and technology, she has been successful in reaching Jews all over Israel and beyond through our online channels. Rachael currently resides and studies in Jerusalem. She enjoys seeing the sights of Israel, creating art and coming ‘home’ to the Livnot campus and the mountains of Tzfat whenever she can. Orah Simcha is a California native who, after travelling the world for the last five years, came to settle in Israel and made Aliyah in 2016. She now calls Tzfat her home and joined the Livnot family this year. Pairing her Philosophy degree with extensive experience in administration for Jewish Non-Profits, she became Aharon’s executive assistant. Orah lives in the Old City of Tzfat and is currently enjoying the beautiful views and the fresh Tzfat air. She is passionate about holistic healing, bringing light down to the world through personal and collective efforts, and she values kindness above all else. Matt Bar, a proud alumni (2005, 2007), is also CEO and founder of Bible Raps, an educational organization that uses cutting edge technology and culture to revitalize classic texts of the past, He has sold 2,500 albums, performed in stage shows and collaborative musical workshops for more than 125,000 youth, in 75 cities, in the U.S., U.K., and Israel, including venues such as, summer camps, conventions, synagogues, Day Schools, Hillels and other Jewish educational settings. “Growing up in Iowa City, Iowa. I was one of the only Jews and didn’t have much appreciation for the richness of Judaism. Originally, I was turned on to Jewish living because a trip to Israel with Livnot. Livnot was integral to my ‘Jewish Journey’ and I am excited to bring this excitement to your community.” Matt currently resides in Philadelphia with his wife, Rebecca, and two boys, Micah and Jonah. 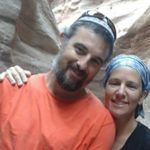 Jordan has joined the Livnot staff upon making Aliyah 2 years ago from New York. He has brought with him a rich set of expertise in the marketing field, and is responsible for fundraising and organizational development at Livnot. The quality he appreciates most about Livnot is the organization’s ability to stay focused and goal-oriented for over of 30 years! 5 years down the line, Jordan hopes to see the “Beit HaKahal” excavation project up and running, and a central attraction in the North. Currently residing with his family in the Lower Galilee community of Korazim, Jordan is a a lover of the Hermon and Meron mountains, as well as an avid skier- although his skiing skills are seldom put to use in the Holy Land climate. Aharon Botzer and his wife Miriam founded Livnot U’Lehibanot in 1980. Aharon is the organization’s visionary, and has dedicated his life to continually developing unique and relevant programs to strengthen Jewish identity among the unaffiliated. His creativity and wisdom are the driving forces behind Livnot’s growth and expansion, both in programs and in the potential of tapping into Livnot’s many assets and resources. Aharon was born and raised in Cleveland, Ohio, and has a B.A. in Education from Ohio University. He spent over a year hitchhiking and travelling in Central America, coming to the realization that having a Jewish identity is a treasure. He came to Israel in 1971 to study in Yeshiva, eventually arriving in Tzfat to teach English and Geography to high school students. He has been a licensed tour guide since 1984. Aharon served as a non-combatant during his regular army service, and until age 56, he volunteered to serve in an infantry unit. Miriam and Aharon are blessed with seven children and many, many grandchildren. Originally from Syracuse, NY, Meir received his BA in American History and Political Science from Tulane University and his MS in Resource Management from SUNY College of Environmental Science & Forestry. He arrived in Israel in 1992, served in the Nahal Infantry Unit before moving to Kibbutz Sde Eliyahu. On Kibbutz, Meir was Assistant Manager of the Fisheries. Michael was born and raised in Kansas City. He received a degree in Broadcast Journalism from the University of Missouri-Columbia School of Journalism before moving to Israel in 1979. Michael served in the IDF Paratroops, was a nature guide in the Society for the Protection of Nature in Israel, led exploration teams for the Israel Cave Research Center, spent time as a shepherd in the Galilee, was an organic farmer, and is a licenced tour guide. Since 1991, he’s been working with Livnot U’Lehibanot leading educational hiking trips, teaching classes, and keeping in touch with alumni. In a perfect world, your cave guide would not have claustrophobia. Before you die, try to farm for at least a few minutes. There is no such thing as a Jewmometer. Michael also runs “The Jewish Snake Project,” in which he uses live snakes to teach groups about Jewish Values. He lives with his family (and snakes) in the Golan Heights. Shlomo Tal was born and raised in Kazakhstan in the Former Soviet Union. At the age of 15 he made Aliyah on his own, and studied Jewish philosophy and spirituality for a decade at various schools around the country. He served in the army as a counter-terror instructor. Shlomo fell in love with Tzfat 18 years ago and has lived there for the last three years as a program coordinator at Livnot, along with his wife, Orly, and their six children. He enjoys music, nature, painting, martial arts, and extreme freedom of thought. Banot Sherut Leumi (National Service Women) are young women who serve in different educational and infrastructure needs as an alternative to army service. All programs include two Banot Sherut who have gone through intensive educational training. These young women are madrichot, critical in the building of community within the group and in all aspects of the service-learning program. Tzivia was born in Israel on Kibbutz Sa’ad and shortly after moved around the USA with her parents. She returned to Israel on Aliyah to attend Hebrew University where she graduated with a degree in Social Research and Anthropology. She married Shmuel shortly afterwards and worked in administrative positions in the center of Israel. A side trip to Chicago to advance academic degrees lasted eighteen years where their three children were born, who are now grown and have blessed their parents with grandchildren. Returning to Israel in 1994, Tzivia held administrative positions in private industries, and moved to Tzfat to join the Livnot staff in 1996. She serves as the Office Manager, and is kept busy with record keeping, grant writing, translations, correspondence, and is the epicenter of organization and order among the many projects of Livnot. Bracha was born and raised in Jerusalem, the only “Sabra” in her family who made Aliyah from New York a few years before she was born. Growing up with an English-teaching, literature-loving mother and living among Israelis has given her proficiency in the English and Hebrew languages as well as the ability to be a correct and polite American even while maintaining forthright Israeli chutzpa. After moving to Tzfat in 2012, the Eitans began regularly hosting Livnot Chevre for Shabbat. In 2016, Bracha left her job of six years as a Financial Aid Advisor at a US-based college, and joined the Livnot team as Aharon Botzer’s assistant. Bracha lives in southern Tzfat and has a lovely view of the Kinneret with her husband Tzvi, their two kids, and two parrots. She enjoys painting, reading, and hearing good stories. Lea received her Bachelor of Arts in Communications from the American University in Washington, D.C. She served as Assistant Program Director at B’nai Brith Women International before making Aliyah. In Jerusalem, she held the title of Director of Student Activities at the American College. Lea later returned to the United States where she worked from 1992 through 2003 for the Jewish Federation of South Palm Beach County first as Coordinator for the Federation’s Mission 500 to Israel and then as Director of the Israel Programs Resource Center. She has been with American Friends of Livnot U’Lehibanot since 2003. Rav Meir is a recognized scholar in the field of Jewish History, specifically the history of Jewish mysticism, philosophy and medicine. He holds a rabbinic ordination from Yeshiva University, a Ph.D. with Distinction from Harvard University and a Master’s from Yale University. Rabbi Sendor lectures widely on his specialties and holds many classes on various Torah topics for all levels.